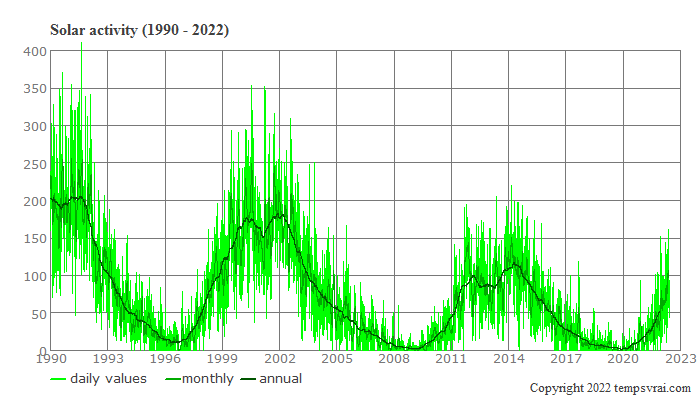 The following diagram shows the solar activity for the last 25 years. On 1st July 2015, the sunspot index has been replaced by a homogenized version (▸comparing old and new). For more information, see ▸SIDC/SILSO. Fig.1: The daily sunspot index and its monthly and annual average. This diagram shows the index of the solar activity since 1820 (Source:▸SIDC). The light green line displays the daily values. The green and dark green line shows the monthly and annual average. Also added the average for 5.5 years (red) and 30 years (blue). 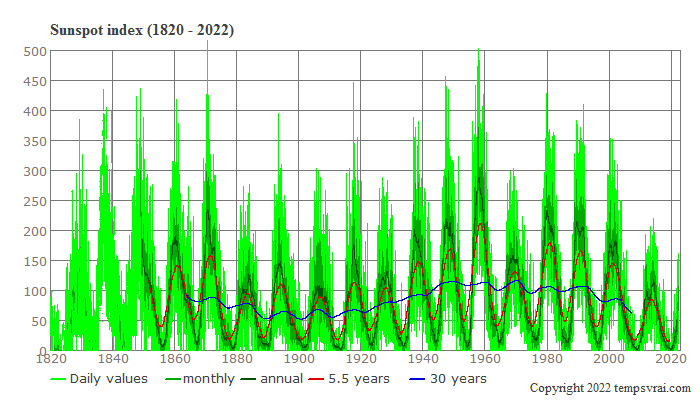 Fig.2: Solar activity since 1820 and its daily, monthly, annual, 5.5 years and 30 years smoothing average. For a historical overview the following diagram shows the solar activity since 1700. 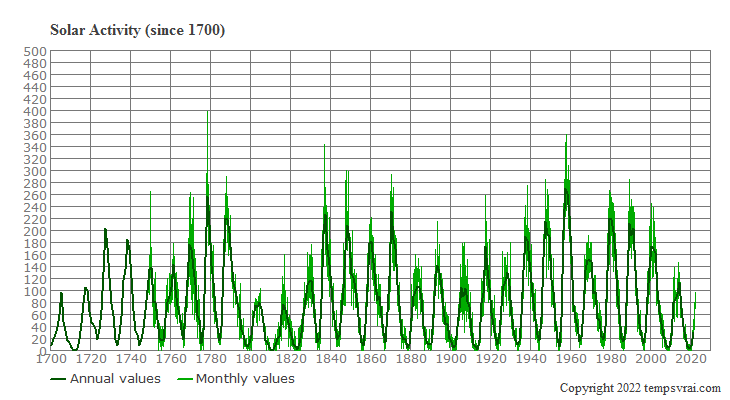 The monthly average is available since 1749. Fig.3: Solar activity since 1700.